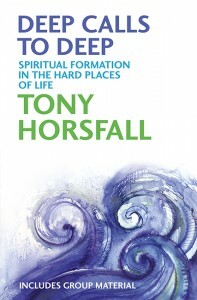 “Much of our spirituality is geared toward relieving our pain and finding ways to ensure happiness, success and well-being… Those who face struggles in their walk with God are accused of unbelief or dismissed as lacking in faith or strength of character…” So writes our favourite author Tony Horsfall in his latest book, Deep Calls To Deep. So when we are suffering, where in the Bible can we turn to for encouragement? To Job, who rails against his situation and receives a revelation of God which silences him but brings no understanding of what actually happened? To Paul, who seems to brush suffering off as “momentary, light afflication” (2 Corinthians 4:17)? Or to James, who tells us to be glad because it’s worth it in the long run for our character development (James 1:2-4)? Tony suggests we should turn to the Psalms to find authors who really understand what we’re going through. He reminds us that many of them were conceived in pain, whether in David’s fugitive years or the subsequent exile in Babylon. 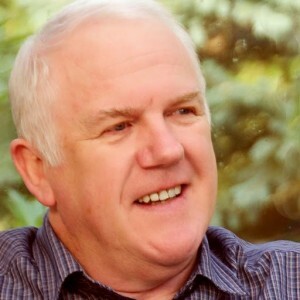 In Deep Calls To Deep, Tony effectively uses Walter Brueggemann’s observation that the Psalms contain psalms of orientation (when all is right with the world), disorientation (when everything has gone wrong), and re-orientation as the psalmist reconciles the difference between the world he experiences around him and the worldview which he holds. Tony selects some psalms which show evidence of these characteristics to unpack and expound, looking for the encouragement even in the dark places that God deliberately takes us into for the sake of our own spiritual formation. We can never squeeze human suffering into a box where we can understand it, analyse it or fathom it. And recognising that God uses the difficulties of life to shape and mould us is not meant to trivialise suffering or offer a simplistic solution to the pain we face. What the Psalms teach us is to trust in God even when we don’t understand, when there seems to be no reason for our pain, and indeed our suffering seems disproportionate. They teach us to be content with mystery and not-knowing. This is part of the work of formation that God is doing in us in the darkest of nights, and the only way that faith can come to maturity is through the path of suffering. In a unique innovation, Tony accompanies every chapter with a letter from someone who has been through their own darkness and soul-searching, among them the pastor suffering from depression, a young couple with a severely ill baby, and a couple who have both suffered from long-term illness for 20 years. These are not necessarily fairy tales in which they all lived happily ever after, but show how ordinary people grapple with suffering and come out the other side. Deep Calls To Deep is short, well-written and easy to understand. We thoroughly recommend it to anyone struggling to come to terms with the suffering they have undergone or witnessed. Deep Calls To Deep can be bought direct from the publishers BRF Online.